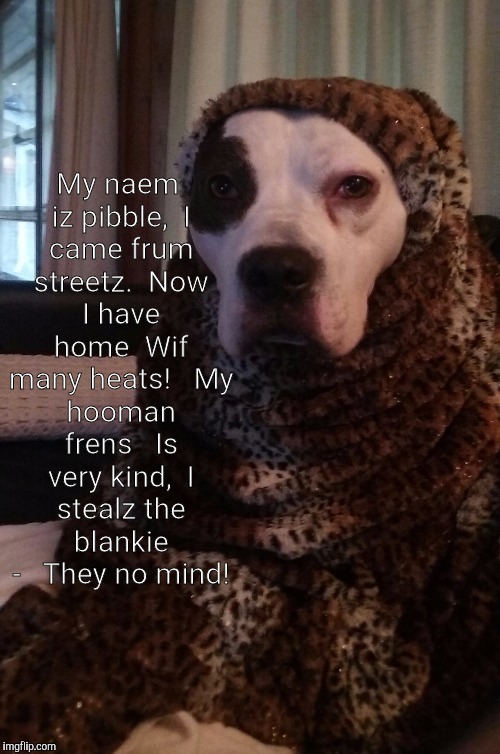 My naem iz pibble, I came frum streetz. Now I have home Wif many heats! My hooman frens Is very kind, I stealz the blankie - They no mind!